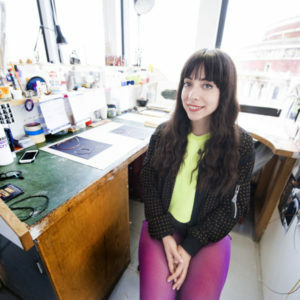 Haydee Alonso is a recent graduate of the world-renowned Royal College of Art in London, specializing in Jewellery and Metal. She was born in the border region of El Paso, Texas, USA and Ciudad Juarez, Chih, Mexico. Wedged between “no man’s land” Haydee has been forced to alternate between cultures and customs in an infinite attempt to connect.